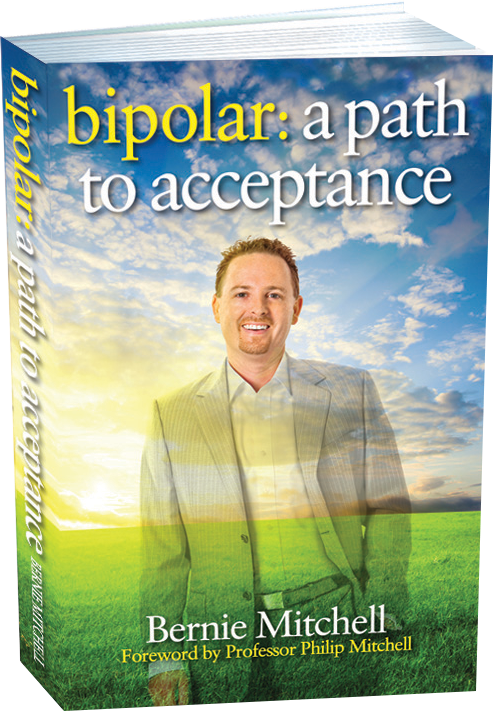 Bipolar: A Path to Acceptance, a book chronicling his diagnosis of Bipolar, his acceptance of his condition, what he has learned and how he can share his education to inspire others. The book has been a labour of love with Bernie scheduling time to work on it, sometimes at his office and sometimes at home from the comfort of his lounge and more often than not, with his four young children bounding over him while he drafted out his manuscript. 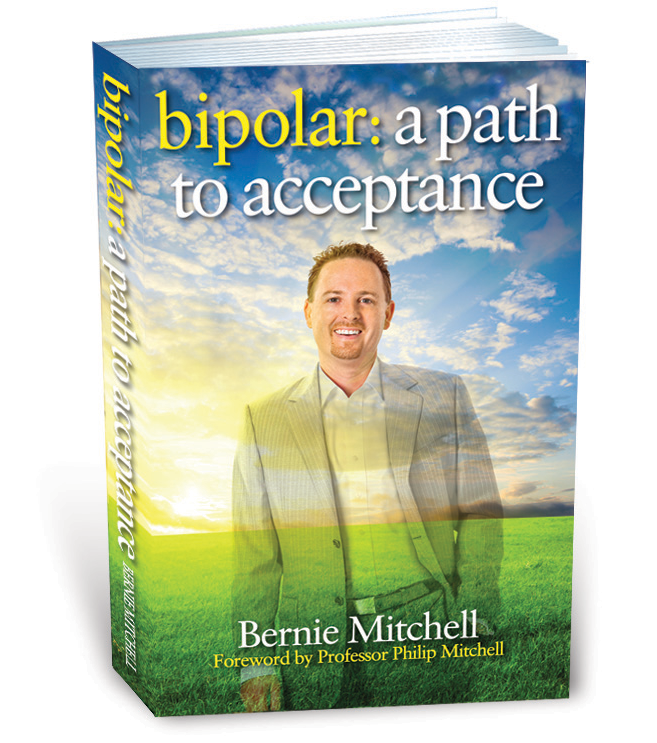 Bernie’s inspiration to write Bipolar: A Path to Acceptance came about in 2010, nearly twelve years after his diagnosis when he recognised how far he had come from his darkest days and how well he had learned to manage his illness. It showed him that hindsight allowed him to see how much effort, dedication and the amount of knowledge he had learned to actually manage the condition and not only get his life on track, but create a successful business based in Sydney’s CBD whilst supporting his wife and their four children. Although Bernie was apprehensive about opening up in the book and being stigmatised, he hopes his journey will pave the way for other sufferers of mental illnesses to take control. He opens up about his deepest thoughts, hoping this will inspire others to also take charge and overcome whatever challenge they are facing – medical or otherwise.